RANGOON — The Burmese government is likely to attend a regional summit to address human trafficking, according to a report by the Associated Press, though a presidential spokesperson warned that Burma could still decide to boycott the meeting if it references Rohingya. Thailand invited representatives of Burma, Malaysia and Indonesia to the May 29 summit to discuss resolving an ongoing migrant and refugee crisis in the Andaman Sea and the Malacca Strait, where thousands of people from Burma and Bangladesh are believed to be stranded on rickety boats. Many of the so-called “boat people” are Rohingya, a stateless Muslim minority, who fled persecution and poverty in western Burma’s Arakan State. The Burmese government does not recognize Rohingya as a distinct ethnic group, instead referring to them as Bengali, implying that they are illegal immigrants. 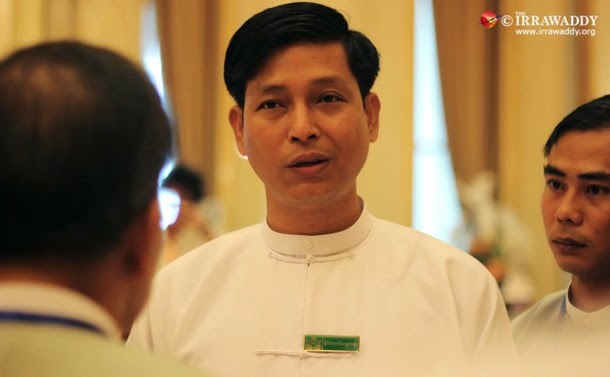 President’s Office Director Zaw Htay, also known as Hmuu Zaw, told The Irrawaddy during a phone interview on Wednesday that accepting use of the term would falsely represent the Burmese government’s position. It is unclear whether the official name of the summit contains the contentious term at present. The country’s estimated 1.2 million self-described Rohingya do not enjoy citizenship and remain subject to severe discrimination. Tens of thousands are believed to have left Burma by boat to seek work or asylum in neighboring countries such as Malaysia. The exodus escalated in recent years, exploding this month into a regional refugee crisis as thousands of people were found to have been abandoned at sea by human traffickers. Thailand, which has long been a transit spot on the trafficking route, invited representatives of Burma, Malaysia and Indonesia to a May 29 summit in Bangkok to discuss the issue. On Wednesday, foreign ministers of Malaysia, Thailand and Indonesia convened in Kuala Lumpur for an emergency meeting attended by the UN’s refugee agency (UNHCR) and the International Organization for Migration (IOM). The meeting concluded with an agreement to provide “temporary” assistance for the thousands of people currently stranded on trawlers, softening a highly criticized “push back” policy whereby boats were turned away from territorial waters. “[Burma] stands ready to provide humanitarian assistance to anyone who suffered in the sea,” the statement said, adding that preventive measures were being taken to prevent human smuggling and illegal migration. Zaw Htay told The Irrawaddy that the government is restricting movement along the coast of Arakan State in efforts to prevent more departures. On Monday, a government spokesperson described the crisis as “just a problem of human trafficking,” distancing the crisis from a rash of violence in 2012 that cast about 140,000 thousand people, mostly Rohingya, into isolated and underserved displacement camps.